Our Blok Concrete Round Planter is a great base for showing off your treasured plants, hedges, fruit trees and flowering vines. 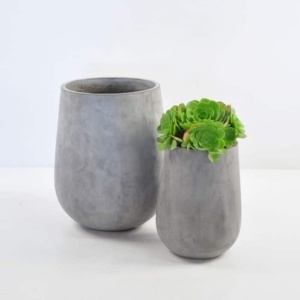 Concrete planters add sophistication and richness without competing with your beautiful greenery. The organic shape combined with the contemporary look of concrete is harmonious. 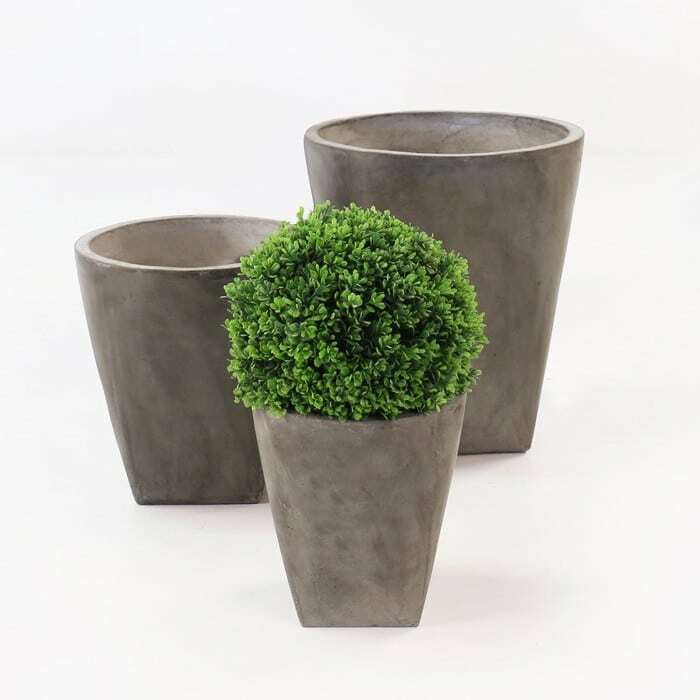 The Blok Concrete Round Planter is part of our extensive line of concrete pots, planters and outdoor accessories. We are proud of the look and high quality craftsmanship that goes into making these planters. 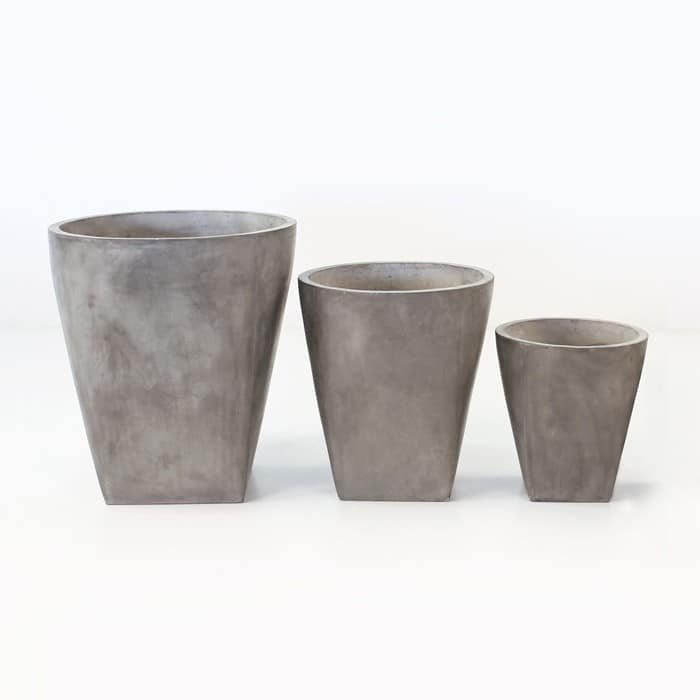 We carry multiple sizes of this planter. 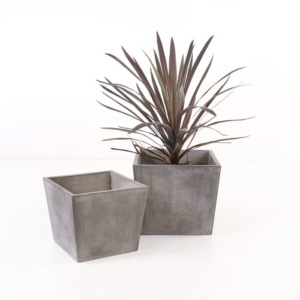 We recommend using a planter container and placing that inside of the concrete pot. This keeps the concrete clean and look fabulous. Concrete is an amazing material for outdoor use. 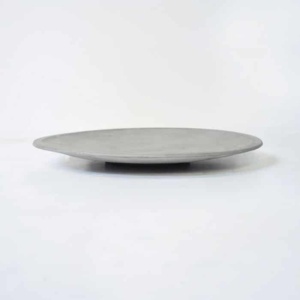 Our concrete pieces are made with a blend of concrete and resin. This adds strength and durability that plain concrete does not have. We offer many different styles of pots and planters. Browse our outdoor accessories, planters and home décor categories; we are positive that we have something you will love.